VIE Hotel Bangkok, MGallery Hotel Collection, in the heart of the city’s shopping district, is the essential gay hotel in Bangkok. VIE Hotel Bangkok is set in an ideal location just steps from the BTS Ratchathewi Skytrain station with easy access to Bangkok’s fabulous nightclubs and nightlife, such as Silom soi 2 and soi 4 at the BTS Saladaeng station. Although a true city hotel, the main building with accommodations is set back from the street in its own world, and it is not too noisy in this hidden little area, completing an environment of mysterious adventure and class. "The chic design of VIE Hotel Bangkok provides the perfect environment for a gay hotel in Bangkok, with Jim Thompson silk décor and lush furniture, replete with artwork and the perfect balance of taste and soft, sultry luxury." 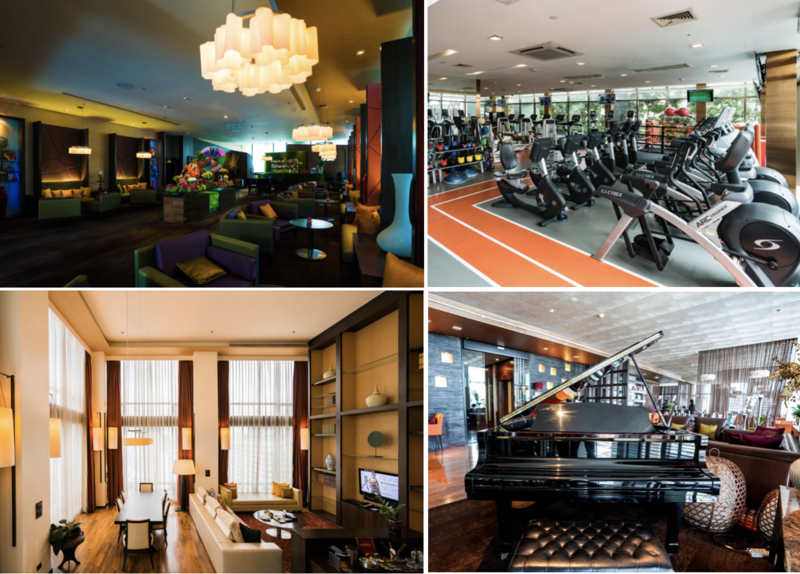 At this gay hotel in Bangkok, you can take excellent care of your shape and body with the premium facilities of WE Signature fitness club. In the haven of VIE SPA, discover where the boundaries of East and west blend in harmony as pure luxury surrounds you, time stands still, and a sense of deep relaxation washes over. Enjoy leisurely hours at the stylish rooftop VIE pool with its unique infinity design with completely transparent walls surrounding it, from which you can enjoy the intriguing city view of one of the most exciting cities on earth. The resplendent sunset city view is simply stunning. This gay hotel in Bangkok’s services are top quality and the staff is often praised for their friendliness and warmth. With the 24-hour butler service, a professional and attentive VIE Butler is at your beck and call to fulfill your every requirement. Dining options at this gay hotel in Bangkok are superb. La VIE – Creative French Cuisine restaurant offers fine dining and a romantic atmosphere, as well as frequently visiting Michelin star chefs. And YTSB – Yellow Tail Sushi Bar (The Best Sushi Bar in Bangkok) is exactly what you are looking for when you are in the mood for the new age of fusion Japanese cuisine and exquisitely prepared portions of extremely fresh sushi.